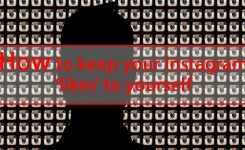 In this article, we are going to focus on some techniques to grow your Instagram without buying followers. Get an overview demographic of your follower base. Including their age, location, and gender. Then research more in-depth stats like the right time to post on your Instagram. Get feedback from your existing followers, ask about their interests and create contents based on their interests. You can track your competitors, find their week points and improve yourself to be better than them. After finding your target audience, you will know what kind of content works well in your industry. Stick to your brand style and create content based on that style. Make sure everything fits together visually before posting and use a scheduler to plan your posts. This will make a big difference to your overall look and your engagement rate. You can like, comment and follow other accounts which are related to your niche to get some exposure. Try taking over someone’s account to gain new organic followers. Look through their followers and interact with them, so that they would get to know your brand and engage with you as well. 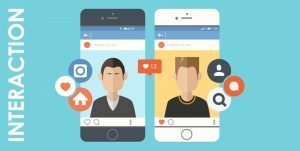 You can do these things all by yourself, or you can just hire an Instagram marketing assistant to do these things for you. You can use Instagram bots for this course too, but make sure to use the ones with boundaries, because some of them might be scammy and get shadow-banned your page. Hashtags are a good way of becoming discoverable. Instagram lets you use maximum 30 hashtags under your posts, but there is no need to use them all. Use fewer and better-researched hashtags on your posts and stories. Between 7 to 10 hashtags are enough. But remember that your content should deliver what these hashtags promise. The more popular your hashtags are, the more competition you are against to get your content found. use all of your opportunities to mention your Instagram account on the other social media channels you own. You can use a widget on your facebook, or specify your Instagram username on your bio anywhere else. 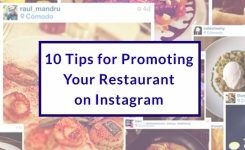 Try to embed your Instagram posts in your blog posts or run a pop-up in your site. The easiest way to gain organic followers is using geolocation tags, mainly if you are posting from a well-known place. Instagram has rolled out great features for stories: stickers, polls, question stickers, live videos, etc. Try to use these features to make your account look more alive. Use Instagram highlights and highlight the stories that you think your followers might find interesting. Like common questions, educational content related to your brand, behind-the-scenes, etc. 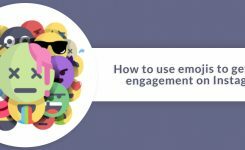 get creative with boomerangs or Q&A polls to get more engagement from your followers and attract new ones. Getting mentioned from another account can be helpful for growing your account. Find an influencer with similar content and ask them to do a shoutout for you or do a feature with you once in a while, or you can create a project together so that you both will have a cause to talk. Just make sure to choose the right person! Write down big Instagram accounts with your niche that are available for features. Let them notice you, use their branded hashtags or tag them under your captions. If they have mentioned their contact info in their Instagram bio, contact them and ask them if they are interested or not? This means you should use the content created by your followers. These are the posts which you have been tagged on or have your hashtag on their captions. Create and promote a branded-hashtag for your Instagram account. Host a giveaway or an Instagram contest and ask your followers to use your hashtags under their posts. 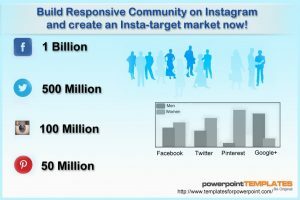 It is not easy to create a winning Instagram growth strategy. You should put a lot of effort into creating an impressive Instagram account and spend a lot of time to manage it. Just focus on organic follower growth or even paid media strategies and you will get what you want.